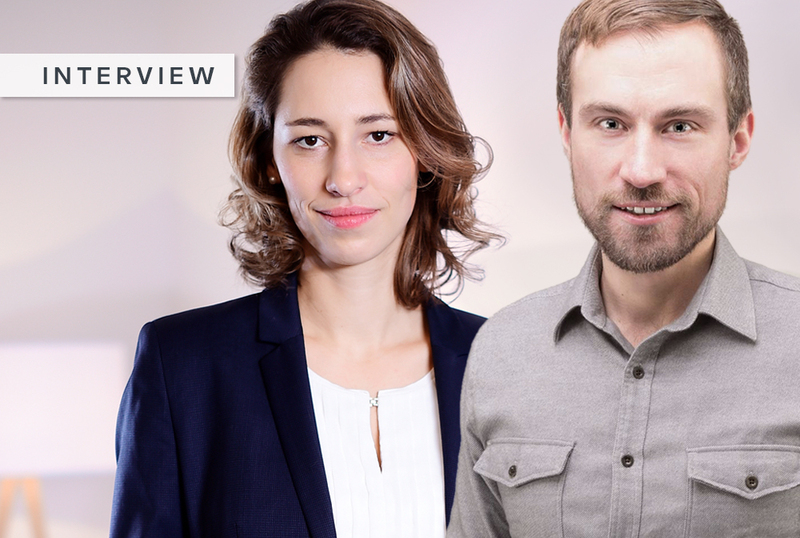 A conversation with Susanne and Arne about Babbel’s failed experiment in holacracy — and why both of them would still try it again. Back then, the manager of the International Growth (IG) team had left the company, and marketing leadership and the IG team members agreed to a new way of managing the team. Susanne Wechsler was a member of the self-organized team at the time and now leads the Babbel B2B team. Arne Schepker was then, and remains now, Babbel’s Chief Marketing Officer; he coordinates numerous teams, including IG. After 8-10 months of holacracy, the IG team halted the experiment and decided to return to a hierarchical organization. Personnel.ly: Arne, when the IG team came to you with the suggestion to try out a holacracy, what went through your head? Arne: I was thrilled. First of all, a team making that type of suggestion is a sign of great self-confidence and motivation. And self-motivation is the single most important prerequisite for working with modern management approaches. At the time, my dilemma was that I had no capacity for taking on an additional leadership role and simply couldn’t have done justice to the development potential of every team member. But I happened to be reading & thinking a lot about the theories in holacracy at the time. So we decided to try self-organization as an experiment pretty quickly and brought an external coach on board. How was the relationship with the external coach? Susanne: It was good, because we chose him as a team. Because of his extensive experience, he was able to help us a lot. With him, we developed a model — one that wasn’t dogmatically holacratic but, rather, tailored to our specific circumstances. Arne: Yes, I liked it as well. By the way, I think that he scrutinized and tested me more than the other way around during our interviews. He wanted to be absolutely sure that my leadership style would offer a solid foundation for self-organization and that I would be seriously committed to it, even in critical situations. And you definitely committed to it. Still, it wasn’t an easy time. What did you find particularly challenging as a boss? Arne: I’d promised the team that I’d only interfere when they explicitly asked me to. Naturally, I wasn’t always in agreement with the team and now & then I had to bite my tongue. I got used to that quickly. Swallowing my typical feedback, team-building or coaching reflexes when I’d see the team getting in its own way was more of an inner struggle. When I noticed the team developing conflicts that they really couldn’t solve amongst themselves, that’s when my patience was tested particularly strongly. The feeling that a team could implode is bad enough for any manager — but it’s much worse when you’re not “allowed” to intervene. Arne, you divide the holacracy time into two phrases: hope and reality check. Can you extrapolate a bit on that? Reality didn’t set in until a few months later. Everything the experts had warned me about actually happened, twofold. For example, we realized that “self-management” doesn’t mean “chaos” but — quite the opposite — even more structure. Organizational structure gets replaced by internal team processes which were a lot of extra work for the team. My personal low point was when we lost a team member in part because of the challenges of self-organization. That hurts, even when you’ve rationally understood that risk at the outset. Unfortunately, both the individuals and I realized too late that not everyone really wanted to work in a self-organized team with all consequences. To what extent did the change in team processes also alter the relationships between colleagues? Susanne: Under holacracy, collaboration was more intense and emotional, because nobody minced words when it came to their personal feelings. Because of the emotional burden, there was more pressure on each individual, which challenged relationships but also led to more self-reflection and personal development. How did you perceive everyone else’s roles? Was there really no attempt at instating a hierarchy? Susanne: I think we didn’t have a true holacracy so much as we drifted into a consensus democracy, which led us to have needlessly long discussions about inconsequential things. The basic idea was supposed to be that one person is responsible for a decision-making process, consults everyone else, and then decides for everyone. The team decided to end the project themselves. Why? Susanne: As far as the day-to-day was concerned, we were always expanding the roles and, with them, their associated duties. As long as everyone on the team was duly committed to the joint project, morale was good. Unfortunately, however, this would go belly-up, the more stress or travel a team member had. Although we took on tasks for each other, in the end, it just wasn’t possible to regain a balanced state that everyone could live with. In addition to this, we also found it inefficient to have to distract ourselves from our daily duties to have all these meta-level discussions. Do you think the holacracy experiment changed the IG team? Susanne: All team members have since taken on other roles, internally or externally. At the same time, we all definitely learned a lot about ourselves and about leadership. Arne: Yes, absolutely. Every Country Manager learned a lot about him- or herself and the other team members. That has a lot of value. Our experiment in self-management was a catalyst for everyone’s future development, whether here at Babbel or externally. Can the holacracy model work, or have you judged it as a failure? Arne: Fundamentally, I’d say it can work. But it’s clearly more challenging than a lot of people think. We definitely grossly underestimated the challenge as a team — despite all the warnings and external support. Susanne: I agree. However, certain circumstances have to be present in order for holacracy to work. Susanne: I would ensure that the team’s tasks are a better fit for holacracy, and that the participants come in primed with great communication and conflict-resolution skills. It’s also naturally easier to implement a holacracy when the team has fewer travel duties than our team had at the time. In addition, it’s important that all team members have a common objective. In hindsight, I also ask myself if it even makes sense to implement holacracy in only one team, if the company as a whole has more than 700 employees. What did Babbel adopt from the holacracy model? Arne: Honestly, we still use a lot of self-management approaches - without calling them by that name. This is because these approaches were proactively exported by the IG team and championed throughout the whole organization. That’s why even without official self-management, we’re pretty close to it. We actually use the same (or similar) tools — some teams organize themselves in “circles” or distribute cross-team roles and teams learn from each other. That last point has grown strongly in the form of peer coaching — that is, learning happens laterally rather than exclusively top-down. Would you both give Holacracy another chance? Arne: I’d try it again! Even though we ended up hitting the ground pretty hard. Self-management wasn’t to blame. We were. We just weren’t ready. I still find the principles behind self-organization absolutely valid — that teams will be at their best when they really embrace & live full responsibility & accountability — just as I did before. With innovation-driven business models such as ours, there is good reason to stretch your organization in this direction. But given that no approach needs to be black or white, every company can choose the right shade of gray in between. Susanne: I’ll only say this: I’d definitely give it another shot — under the right circumstances. From an economic perspective, it's easy to look at the world in figures and to lose sight of the human element. Annika believes employees are the heart of a company: At Babbel, she sees her values put into practice and documents her learnings so others can learn from Babbel's experience. Personnel.ly is your guide for innovative HR ideas and strategies with a focus on learning & development, leadership, and diversity. Sign up here and we’ll send you the best articles, tips and tools regarding HR and New Work. Don’t worry, we don’t like spam either. We’ll send you updates once a month. You can unsubscribe from this newsletter at any time.